Secondly, will they be widely used? They cost about 3p each compared with about 1p each for plastic. That’s a modest difference in cost for a small mailshot – of about 1,000 – for Honeyguide. Others may not think the same. Legislation or taxes are probably the answer – think of the collapse in plastic bag use since they cost 5p each. The upshot was the mailing house agreed to get some in, but quite not soon enough for our mailing. And yes, I did first ask many months ago. So we went with old-fashioned envelopes, widely recyclable, as the other non-plastic option. Next year, we’ll see. Less recyclable is a new product: a Honeyguide car sticker. It should have a long life: it should peel off without leaving a mark and even be moved. These haven’t been enclosed in the brochure mailing: I concluded that many might be thrown away. Instead I plan to include them with booking confirmations in the coming months. 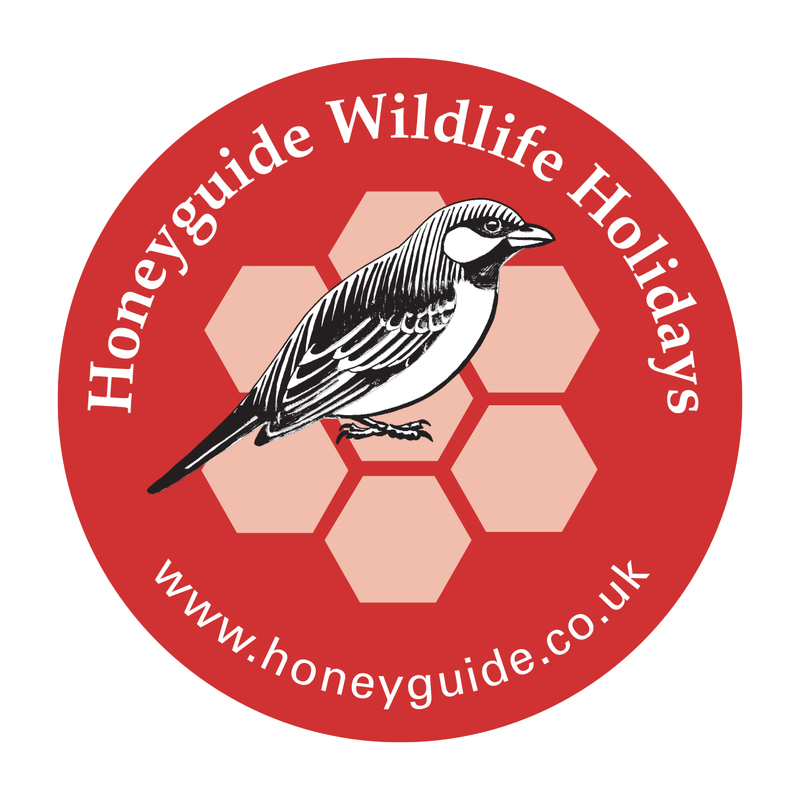 The Honeyguide car sticker is the same size and shape as car stickers for the National Trust, RSPB, wildlife trusts etc, and looks good alongside them, I think. I hope you agree and that they spark some conversations, for example in nature reserve car parks. With waste minimisation still in mind, let me pose a question. 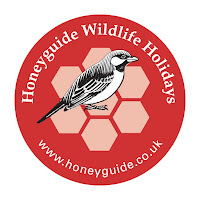 Since the start of Honeyguide – in the pre-internet era – the information package for holidays, for enquiries or with booking confirmations, has included a previous holiday report, where available. We admit to being proud of the reports: effort and TLC goes into their production, and leaders certainly refer to them. But that shouldn’t mean routines are cast in stone. Are holiday reports, in reality, better looked at online? We could, for example, still post reports as a souvenir after a holiday or on request, but with respect to future bookings is a previous report a waste of paper? Answers on a recyclable postcard, or an email!